Tesla plans to build 400,000 electric vehicles this year. This will nearly double the U.S. fleet of electric cars. With this influx of new EVs, we want to know one thing: will there be enough Tesla Supercharger Stations to support the Tesla Model 3? We are at a great milestone in electric vehicle history. In 2016, Elon Musk, CEO of Tesla Motors, wrote a Master Plan that outlined his aspiration to create a mass-market electric vehicle. With the release of the Tesla Model 3, a consumer-affordable electric vehicle by Tesla Motors, this master plan has come to fruition. Have you ever thought of getting an electric vehicle? What if it left you stranded, in the middle of nowhere, and with no one in sight… would you still buy one? Where are we going to charge all of these cars? Electric cars have a shorter range than conventional and hybrid vehicles. There is not enough infrastructure to support electric vehicles in the same way as their gas-powered counterparts. So what does Tesla plan to do in the wake of the oncoming fleet of 400,000 electric cars? Build stations with more superchargers. Current supercharger stations usually hold between four and six stalls. 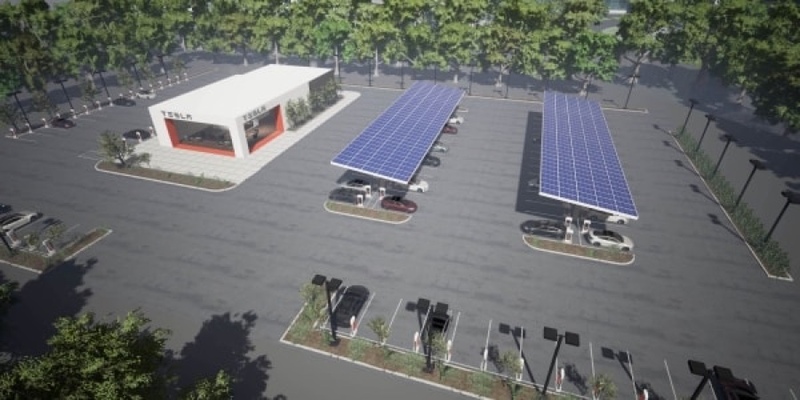 Tesla recently announced that it is planning to build a new type of station that holds between 50 and 100 stalls. Imagine how much power it takes to support one of those! Offer more convenience with their Destination Charging Network. Whether you are at a hotel, restaurant, or other popular destination, Tesla wants you to have access to a charger. The Destination Charging Program offers businesses easy access to free chargers for their customers. Today, the program has more than 6,282 partners and is still growing. (Just back in April, the program had 5,000 partners.) Tesla has gone out of its way to make this program free for approved businesses, which helps explain its fast growth. Tesla is making big changes to support an electric vehicle fleet. 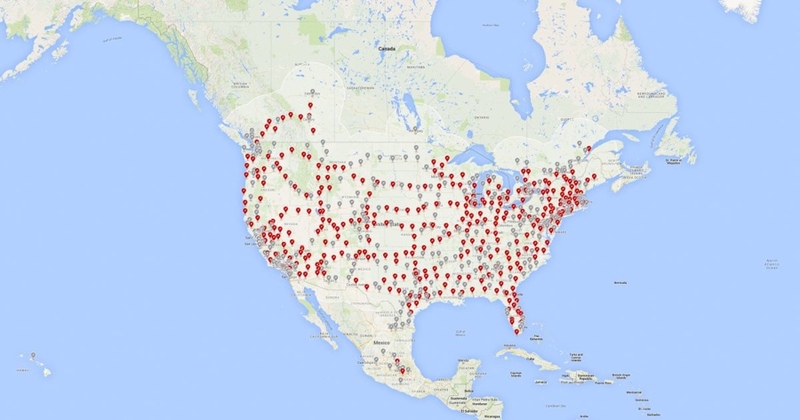 Still, many current customers must still go out of their way to find a supercharger station. For electric vehicles to become mainstream, there will have to be enough Tesla Supercharger Stations to support long-distance travel. So far, the Supercharger is the only infrastructure that allows people to charge their cars in 30-40 minutes. The rate at which Tesla is expanding this infrastructure is impressive. Perhaps charging will soon become a problem of the past… let’s cross our fingers!